STOCKHOLM,— Swedish Migration Court has decided that Kurdish journalist Kamran Mirzaian will be deported to Iran. Mirzaian fears for his life if he is forced to return. “I will be executed or tortured to death.” said Kamran Mirzaian. 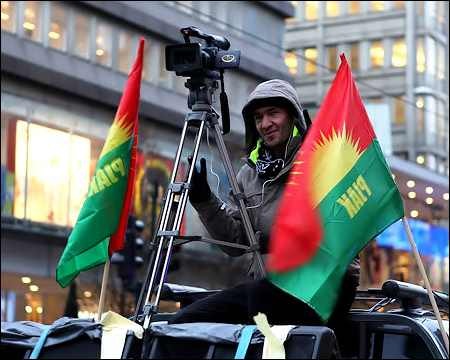 The Kurdish journalist and activist Kamran Mirzaian came to Sweden in 2014. In Iran, he has worked as a journalist for several years and has also been politically active, among the Free Life Party of Kurdistan, PJAK. “I want to be able to write articles and and do my work in my own language, but in Iran that would not be possible, because as a Kurd I don’t have any rights.” says Kamran Mirzaian. 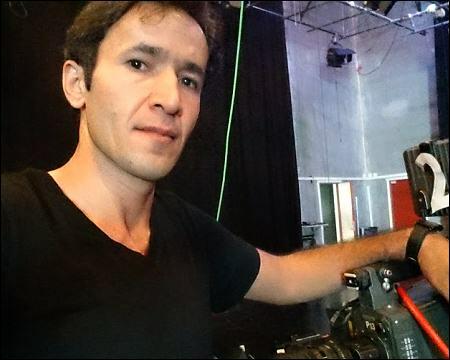 In Sweden he has been working voluntary for the Kurdish channel NewrozTV, and among other TV channels and newspapers, which broadcasts news, debates and entertainment programs, by satellite all around the world, NewrozTV is banned in Iran. But now he will be expelled from Sweden. “I came here with the idea and the hope that Sweden is a democratic country that stands up for people fleeing from dictatorship and oppression. When I heard about deportation, every hope that I had, dropped that moment. It makes me very disappointed and sad.” says Kamran Mirzaian. Swedish Migration Court does’t consider that he has been able to confirm his identity, and does not think his voluntary work for NewrozTV and his political commitment has been so extensive that the Iranian authorities should have known about it or may risk execution. Therefore, migration court have is considered that he doesn’t need any protection from Sweden. Kamran Mirzaian has appealed the Migration Court and submitted more documents proving his political activities in Iran and abroad. But on August 30, he was informed that the Migration Court will not examine his case despite new evidence documents. “I don’t understand why the Migration Court makes such unfair decisions when they have all the evidences in front of them. I have shown what situation I live in, and still they decided to deport me to Iran, the regime where I awaiting a death sentence.” says Kamran Mirzaian. He is afraid of what will happen if he will be deported to Iran. “I can not return. A few weeks ago 20 of my comrades hanged by Iranian regime. I have received many threats, both via the Internet and telephone that I will be tortured if I will return to Iran again.” says Kamran Mirzaian. Ever since its emergence in 1979 the Islamic regime imposed discriminatory rules and laws against the Kurds in all social, political and economic fields. The Kurds in Iran experience discrimination in the enjoyment of their religious, economic and cultural rights. Parents are banned from registering their babies with certain Kurdish names, and religious minorities that are mainly or partially Kurdish are targeted by measures designed to stigmatize and isolate them. Kurds are also discriminated against in their access to employment, adequate housing and political rights, and so suffer entrenched poverty, which has further marginalized them. Several Kurdish groups took up arms to establish a semi-autonomous Kurdish region in Iranian Kurdistan or Kurdish federal states in Iran. Estimate to 12 million Kurds live in Iranian Kurdistan.